The Justice Ministry will now oversee convicts. 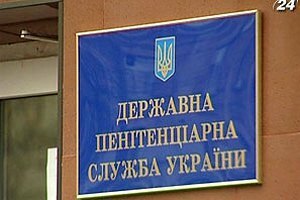 The government at a Cabinet meeting on Wednesday eliminated the State Penitentiary Service and conveyed its powers to the Ministry of Justice. Prime Minister Vladimir Groysman said that reform was long overdue because the penal system has been "stale". Prior to this, the first Deputy Minister of Justice Natalyia Sevostyanova presented a project in which instead of the Penitentiary Service, three departments will be created as part of the Ministry of Justice: probation, resource maintenance and custodial. Also, a penitentiary inspection department will be created. Instead of PS regional departments, it is planned to establish five inter-regional offices. According to Sevostyanova, the nation's penal institutions are filled to 63% of their capacity, containing about 70 thousand prisoners. At this, the Penitentiary Service employs 30 thousand workers. Earlier, the Ministry of Justice have spoken in favour of creation of private prisons in Ukraine.